Chinese fringe-flower (Loropetalum chinense) is one of the most versatile landscape plants that can be sheared into a 2 ft. high hedge for 40 years or allowed to grow into a 35 ft. tall multi-stemmed tree with exfoliating bark. It has small dull green alternate leaves that are 1 to 2 in. long and not quite as wide. Fluffy, greenish, creamy-white flowers with a slight fragrance start open in mid-March and persist until mid-April. ‘Snowmound’ [Snow Muffin®] is a dwarf, ground cover form introduced by Bob Head, Head Ornamentals in Seneca, SC; ‘Shang-White’ [Emerald Snow®] is a compact 3-4 ft. by 3-4 ft. that blooms in the spring and sporadically in the fall—it was discovered by Robert “Buddy” E. Lee, the same fellow who developed the Encore® azaleas; ‘Snow Dance’ has smaller leaves than the species but becomes rangy. The purple-leaved loropetalum (Loropetalum chinense var. rubrum) catapaulted this species to superstardom. There must be close to 20 clones available in the marketplace at this time, which exhibit a great deal of variation in growth habit and flower color. ‘Burgundy’ was one of the first, but has since fallen by the wayside since it is only semi-evergreen. ‘Blush’ was next, with its slightly bronze new growth that turns green and has fuchsia-pink flowers. ‘Zhuzhou Fuchsia’ is probably the most upright and most cold-hardy of these forms. ‘Ruby’ tends to be more compact, but not as deep burgundy. ‘Suzanne’ is more compact. ‘Bicolor’ Chinese fringe-flower has purple new growth, but white flowers. ‘Hines Purpleleaf’ (= ‘Hines Burgundy’ [Plum Delight™ = Pizzazz™])‘is intermediate in growth with one of the deepest purple leaves. Olive gall (Pseudomonas savastanoi) on branches of Loropetalum chinense (top and bottom). Credit: Paul Thompson, York County Extension Agent, York, SC. I always felt that the loropetalums were indestructible–resistant to insects and diseases. 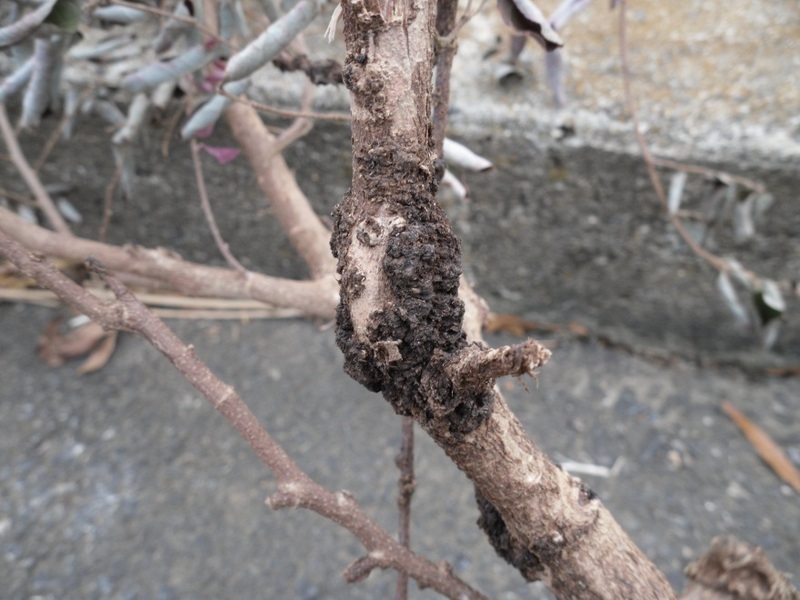 However, a bacterial gall disease has appeared on Chinese loropetalum that results in the formation of dark-colored callus tissue or “knots” on the main stems and lateral shoots (see photos). As these galls grow, they eventually girdle and kill stems. The galls are caused by the plant pathogenic bacteria Pseudomonas savastanoi. 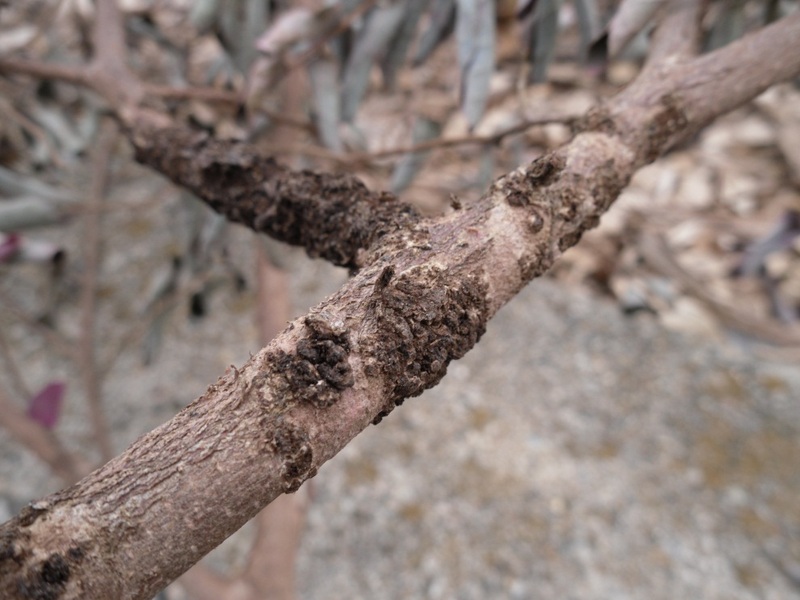 This disease also causes olive gall on olive (Olea europaea) and oleander knot in oleander (Nerium oleander). Ornamental species in the Oleaceae attacked by P. savastanoi include ash, privet, and forsythia. In May 2012 Aiken/Lexington Clemson University Cooperative Extension agent, Vicky Bertagnolli, discovered two dozen infected plants at a nursery in Aiken, SC. 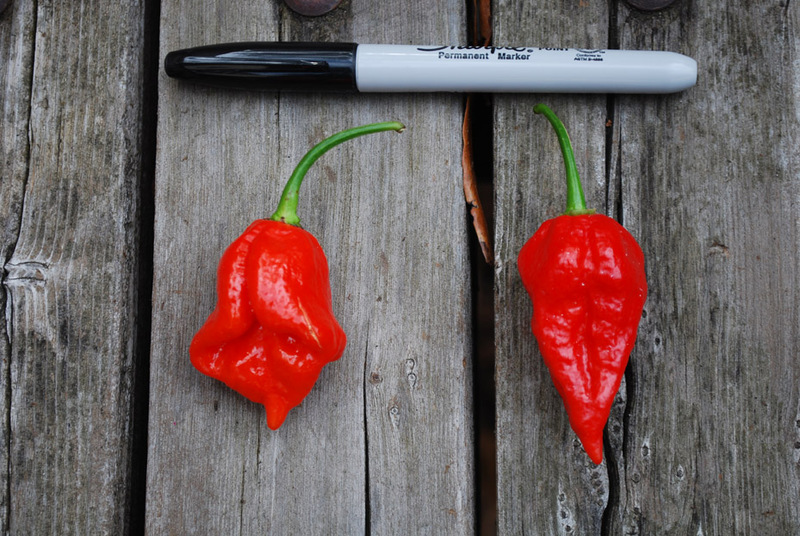 It was recently discovered in York County by Paul Thompson, York County Extension agent. It has now been observed in nursery and landscape plantings in North Carolina, Georgia, and Alabama. If your loropetalums exhibit these galls, there is nothing you can do to eradicate this disease. Removing galled branches will only slow its spread. P. savastanoi is an epiphytic organism that survives on the bark and only becomes aggressive when it enters the plant via pruning wounds or openings in the bark. The best approach at managing this disease is avoidance. Thoroughly examine loropetalums prior to purchasing and planting them in the landscape. If you see galled branches on your loropetalums, consider removing and discarding them to avoid the spread of this organism on uninfected loropetalums. For more information see “Bacterial gall on loropetalum” (https://sites.aces.edu/group/timelyinfo/Documents/2013BACTERIALGALLONLOROPETALUMTI%202.pdf). It’s 24 degrees this morning…. Spring is only 116 days away.